KOCHI: Ten people lost their lives in Kerala in the last 48 hours as heavy rains continued to lash the State wreaking havoc and destroying property. Educational institutions would remain closed in Kottayam and Alappuzha on Tuesday. Landslides were reported from several areas and a large number of trees were uprooted in Kottayam and Idukki. 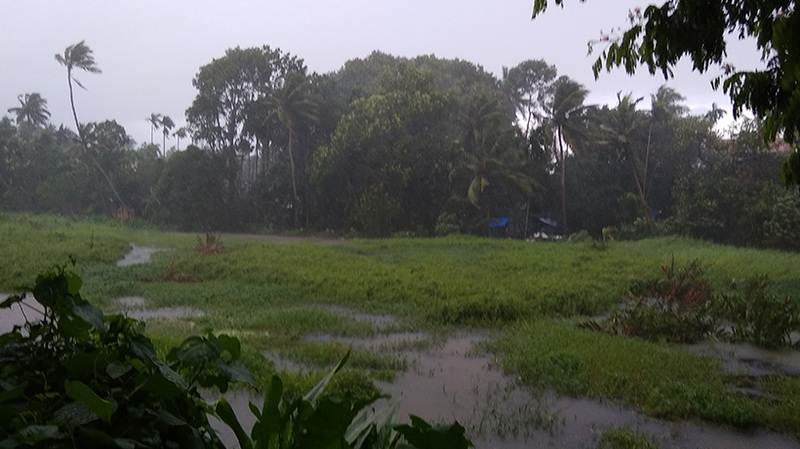 Several places remain inundated in Kannur, Malapuram, Kochi and Wayanad. The body of an one-year-old boy, who went missing since Sunday, was recovered on Monday, while Adnan, a school student, drowned in a pond at Malapuram. A 50-year-old man, identified as Sivan, drowned in Manimala at Kottayam. In Ernakulam, a 55-year-old died as he could not reach hospital on time. Both rail and road traffic have been severely affected. Railway lines were submerged in rain water as a result of which several trains from Alappuzha were delayed. Water level in Mullaperiyar dam touched the 129.02 feet level against its permissible limit of 142 feet. Water level in Idukki dam rose to 2,367 feet against its full capacity of 2,403 feet.The rain is likely to continue for next two days.